Omar a Chartered Professional Italian Mechanical Engineer of Politecnico di Milano with 10 years working experience for companies project oriented, mainly Oil & Gas and Infrastructure. In December of 2015 starts the passion for FinTech and with a group of partners in 2017 formalises Gentium Capital a partnership firm within the FinTech and blockchain ecosystem. 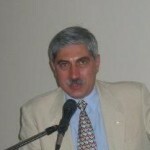 In the Italian Association, he is the President with supervision of Commercial and Financial team. Detailed, meticulous on numbers, costs, cash flow and profit. Omar moved to Singapore in December 2010, he is married with Ling and they have two babies, Victoria and Caesar. Alberto, Harvard laureate, pragmatic, passionate, and obsessive, 35 years of managerial experience in international affairs development, with a particular focus on the United States, Europe, and China. Managing Partner of Mandarin Capital Partners. Currently, he also deals with dynamics and themes related to the global labour market, as well as talent and skills management at an international level with special attention to problems youth are facing and professional training. He worked and lived for long periods of time in Santiago, Lima, Buenos Aires, Boston, London, Rome, Turin, Singapore, Kuala Lumpur, Washington DC, Luxembourg, and Munich. Currently, he divides his time between Hong Kong and Boston, and he is always aware of themes regarding the global economy, internationalization, and labour globalization. Ludovica came from New Zealand to Singapore in 2011. She is involved in the F&B business and she is currently the Senior Sales Executive at Euraco Finefood Singapore. Landed in Singapore in May 2011 Ludovica had an internship in business entity. She is involved currently in the F&B business and she has the position of Treasurer in the Italian Association of Singapore. She is an important asset for the Italian Woman community in Singapore. Alessia arrived in Singapore with her husband Marco and them daughter in 2013, she is from Vicenza. She has a Diploma in corporate accounting, working for more than 20 years in a law firm. In 2015 immediately joined the project of Italian Association of Singapore, from the begging Alessia and her husband are Founding Members. She is Treasurer Assistant responsible for payments execution and administration coordination. Maurizio is an R&D Manager in a semiconductor company with 21 years experience. He live in Singapore since 2012 and joined IAS when the project was started already but soon wants to be active part of the core team of the association. His passion is to promote Italy and help Italians that will come to better integrate in this amazing country Of Singapore. In the Italian Association he is the Secretary following the Members and the activities regarding planning and organisation of events till the IAS setup, and management. Gianfranco Di Stefano is R&D project manager and works in a semiconductor company for more than 20 years. 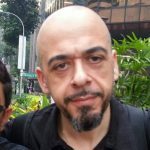 As soon as he arrived in Singapore he almost immediately joined the Association at the beginning helping in organizing events as a volunteer of the Italian association. In 2017 he was appointed as Internal Auditor and currently Giangranco is part of the board. Monica is a professional translator, interpreter and language teacher. As the Head translator of Favella Translations Pte. Ltd., she provides language services for the business, luxury and medical sector, offering high-quality word solutions that encapsulate each brand’s style and tone of voice. 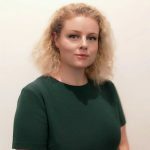 She holds a master’s degree with honours in Specialised Translation and Conference Interpreting from the University of Trieste, a leading hub for language studies in Europe. Following her passion for words, Monica has worked in Italy, France, Russia and the UK. Her latest love is Singapore, where she has joined IAS as their Cultural Director and Italian language teacher. Aniello aka Nello is an xperienced Technologist with a demonstrated history of working in the management consulting industry. Skilled in Requirements Analysis, Perl, Advertising, PHP, and Event Management. Within the Italian Association of Singapore has brought plenty of tech ideas and efficient IT expenditures. From 2019 IAS has its own newletter server, iOS and Android App and further IT services online optimised. Nello within the Italian Association is the ITC Director. Edoardo after completing his International MBA studies in 2005, Edoardo decided to relocate to Asia where he has been living and working since then: first in Shanghai, where he has served as senior consultant (strategy) for medium-to-multinational companies entering the Chinese market; later in Hong Kong, where he has worked as APAC commercial manager both in the construction materials and F&B sectors. Currently, he is a permanent resident of Singapore, actively involved in supporting European SMEs in selling their products across the ASEAN region. Antonio, has more than 20 years experience working abroad : Switzerland, Germany , Norway, Middle East, UK and eventually Singapore where he arrived in 2002. 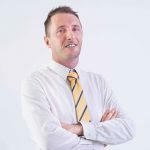 A former Italian Navy Officer, graduated from Naval Accademy in Livorno and from University of Pisa, is the Managing Director of CUT Asia pacific, a company specialised in underwater services for offshore oil and gas industry and special projects for petrochemical plants. Married to Florence, spends his free time jogging, biking, cooking, travelling, reading. 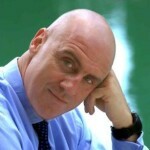 Antonio is collaborating within the Italian Association of Singapore mainly on legal reviews. David Carollo is a polymorphic professional with creative, technical, strategic and entrepreneurial skills. With a Master’s Degree with honour in Communication Theory and Technology he had several interesting experiences in the world of innovation, ICT and advertising. 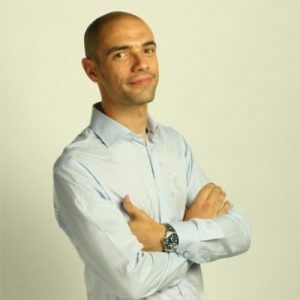 On 2015 David was appointed as one of the Italian Digital Champions and he published many articles on Social Media and Digital Marketing and a book on 2016; moreover he hosted some speeches about these topics in Italian universities and business meetings. Charmaine Chew, Business Development Manager. Katja Krizman, PhD at National University of Singapore.